Each of the top class winners in each showmanship class returned to the show ring for judging in the overall sheep showman contest. This was Victoria Waits’s first time showing sheep at the fair. 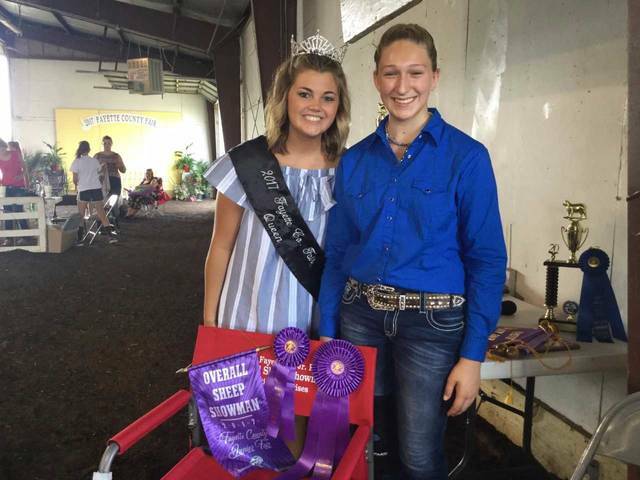 Victoria Waits was named the overall sheep showman at the Fayette County Junior Fair. Victoria Waits was named the overall sheep showman Thursday at the Fayette County Junior Fair. “This is actually my first year showing sheep,” said Waits following the win. This is not Waits’ first year in 4-H however: for the past seven years she was a beef feeder, market steer and hog exhibitor. At last year’s fair, Waits won the grand champion market steer and beef feeder awards and this year was named the reserve champion market steer winner. Waits has just two sheep at home and said she didn’t know if she would do well with sheep this year. “I just came out and did my best. I didn’t know if I would win or not. You just come out and do your best. It really helped that I had a partner this year,” said Waits. Macy Detty was named the reserve overall sheep showman. 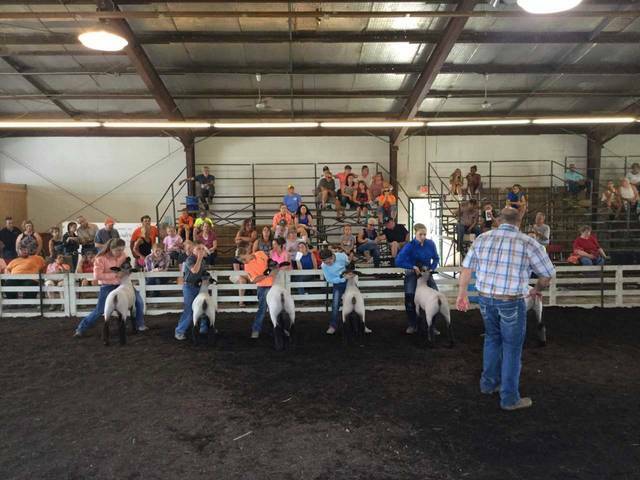 Top showmen in other overall sheep showman classes were Kasi Payton, Blake Boedeker, Corbin Melvin, and Meghan Cory. “This is a group of young showmen. Some of them don’t have the experience but that will come with time,” said Martin. Meghan Cory was named overall third place sheep showman, Corbin Melvin placed fourth and Kaci Payton was the fifth place winner. https://www.recordherald.com/wp-content/uploads/sites/27/2017/07/web1_OverallSheepGroup1.jpgEach of the top class winners in each showmanship class returned to the show ring for judging in the overall sheep showman contest. https://www.recordherald.com/wp-content/uploads/sites/27/2017/07/web1_OverallSheepOne.jpgThis was Victoria Waits’s first time showing sheep at the fair. 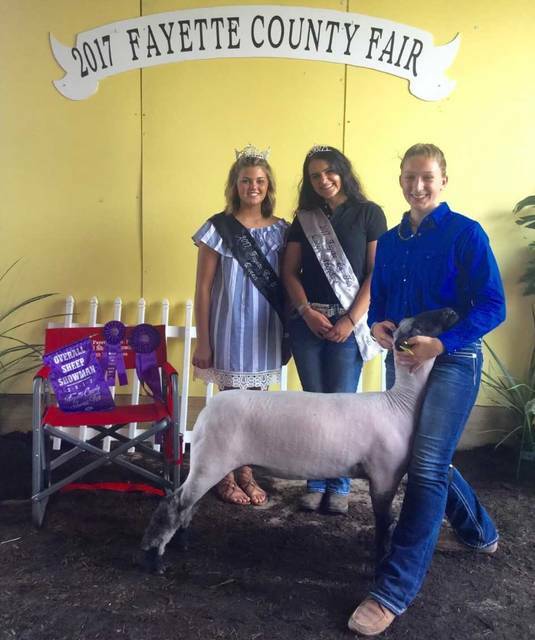 https://www.recordherald.com/wp-content/uploads/sites/27/2017/07/web1_OverallSheeptwo.jpgVictoria Waits was named the overall sheep showman at the Fayette County Junior Fair.